Although if her professor was half as attractive as Sting was in his heyday, one cannot blame her for seducing him. Perhaps she should have been lauded for her restraint in waiting until after the semester was over? They are discovered and unsurprisingly she is the one left wearing the scarlet “A” after he is dismissed for fraternizing with a student. Chloe’s parents are understandably upset when the harassment takes a darker turn in the form of death threats by text and pornographic websites featuring Photoshopped images of Chloe and the professor. To guarantee their daughter’s safety they employ the services of a security firm. Told in alternating POV we then meet Jack as ingratiating as he is enigmatic. He is immediately drawn to Chloe but is certain that she is not his to be had. For the most part Knowing Jack was predictable until the final page when the author threw a curve ball that was completely out of left field. I spent several moments convinced that my e-reader was malfunctioning and that I must be missing pages. 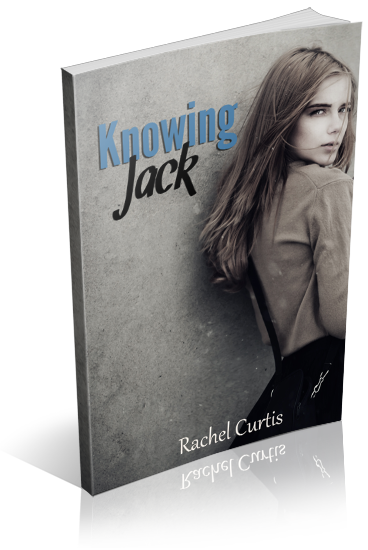 If there is going to be a sequel to Knowing Jack, it seems like it was a last minute decision on the part of the author and the sudden transition was jarring negatively impacting what was largely an entertaining story with likable characters.